I would say that the owners are very easy to work with and that I had a pleasant experience with them. I'm looking forward to having future projects done by them. I'd highly recommend them. I liked the overall experience with Jack and his wife. They're well priced, skilled, and they work well with end users and trade partners. They're very helpful and quick to respond to requests on quotes. They are good and everything was fine. The work was done and it was done right. 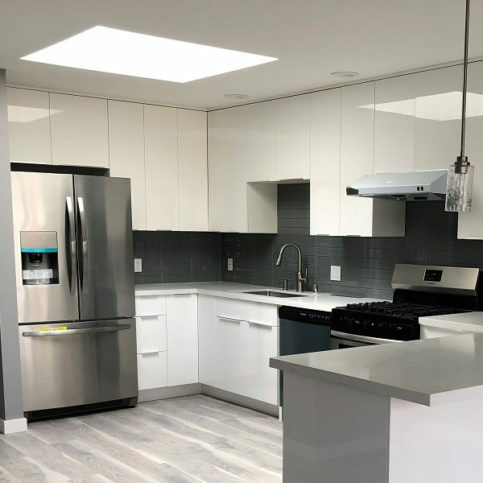 Amazing Stone, Inc. provides a wide variety of stone products, granite and quartz countertops, tiles, cabinetry, fixtures, and hardware at its San Leandro showroom. The company also offers installation services throughout the Greater Bay Area via its sister company, Amazing Construction & Design, Inc. (Lic. 881848), which has the ability to handle additions to floors, fireplaces, shower enclosures and more. 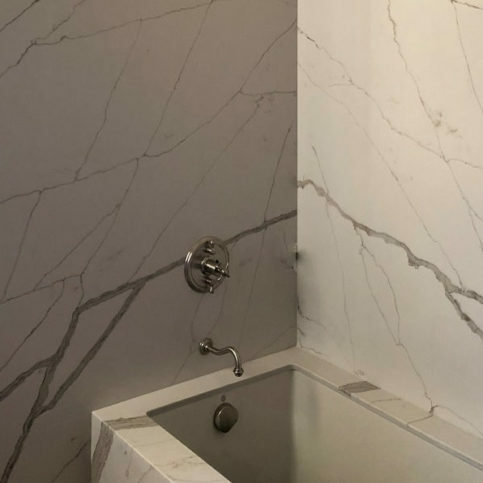 Amazing Stone’s professionals have a minimum of eight years’ experience and can guide clients through their marble and granite projects from start to finish. The company’s specialists also offer simple care and maintenance techniques that, according to Mr. Chan, keep stone surfaces looking new for years. DIAMOND CERTIFIED RESEARCHED CAPABILITIES ON Amazing Stone, Inc.
Company Name: Amazing Stone, Inc.
DIAMOND CERTIFIED RESEARCHED ARTICLES ON Amazing Stone, Inc.
Amazing Stone uses prefabricated material, which means the pieces are cut to a certain dimension with the edges already added. These pre-cut surfaces cost less than raw granite slabs without sacrificing quality, says Mr. Wong. The company carries a wide range of pre-cut widths and lengths with either a “full” or “ogee” bullnose edge to suit almost any design or style. Amazing Stone is one of the few Northern California companies certified to use Dry-Treat sealer. This unique product is a topical sealant with micro-particles that penetrate deeply into porous surfaces, making a permanent bond within the pores and creating a protective barrier against stains and other damage. Amazing Stone provides a 15-year warranty for its products that feature Dry-Treat. It’s always important to check a company’s credentials. Make sure they’re licensed, insured and bonded. One concern that’s consistently heard throughout the industry is contractors that are hard to track down, especially after they’ve received a customer’s deposit or final payment. It helps when there’s a showroom that’s staffed by people who’ll be there to answer questions, either on the phone or in person. “It’s important to the industry as a whole for companies to stand behind their work,” says Mr. Wong. If you’re in the market for cabinets, be sure you know exactly what you’re getting, because there’s a wide range of prices and materials—hardwood, plywood, presswood—as well as different standards for construction. Find someone who’ll explain all these options, help you choose the perfect one and do a professional installation job. Once sealed, a granite countertop—whether it’s more expensive or not—will perform how it’s supposed to perform. Prices are different among countertop choices because of patterns. The more intricate the pattern and colors, the more expensive. A moving pattern will cost more than Gothic gray, for example. Country of origin also plays a role in pricing. For example, granite from Brazil—with a lot of characteristic movement—is more expensive than stone that comes from China, where granite typically has a plain pattern. A: Yes, but we don’t go out to clients’ homes; they need to bring in a drawing. To help with this step, our website has a design layout form that can be downloaded and filled out. Q: Should I be concerned about radon? A: Radon is a naturally-occurring gas that can be found in materials that come from the earth, like marble and granite. We have a radon detector in our warehouse that constantly tests radon levels to make sure they’re below what’s considered dangerous. We can even test a specific piece of granite if a customer requests it. A: It depends on the size of the job. Most jobs only take one day—including tear-out and installation—because we do it all onsite. However, there are occasions when a bigger job may take two days or more. A: Demolition is optional. Customers can either do it themselves, ask their contractor to do it, or contract us to do it. If they choose us, we’ll tear out the old material and dispose of it. Including demolition, most jobs still only take one day. Q: What kind of cabinets do you recommend? A: We’re proud to be an authorized dealer of Armstrong cabinetry. Armstrong offers a great product line to fit almost any design or budget. We have several different wood styles, and each one has a variety of colors and doors to choose from. 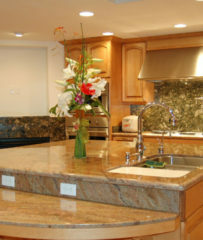 Q: What’s the proper way to maintain granite countertops? 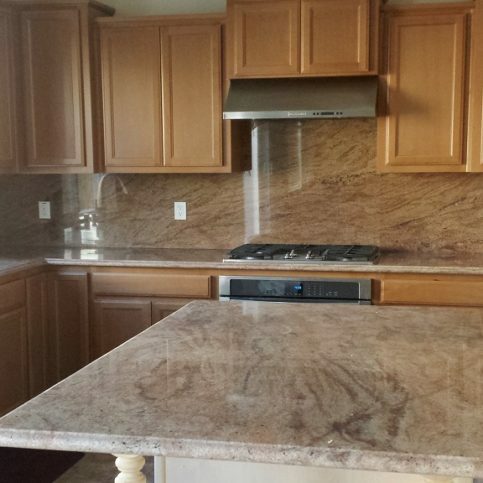 A: Once a granite countertop is sealed with Dry-Treat, the maintenance is very easy. We just ask people to wipe it down with a neutral cleaner and a towel. You don’t have to use an expensive cleaner or do anything special to it, but we do recommend not putting any hot objects directly on the countertop, because that could possibly emulsify the sealant or leave a dull mark. We give each customer an instruction sheet at the end of the job, and there’s always someone at the office to answer questions. Q: Do you have other kinds of stone besides granite? A: Yes. We also carry marble and quartz. SELECTED PHOTOS FROM Amazing Stone, Inc.
Amazing Stone handles finishing details like fixtures and hardware. 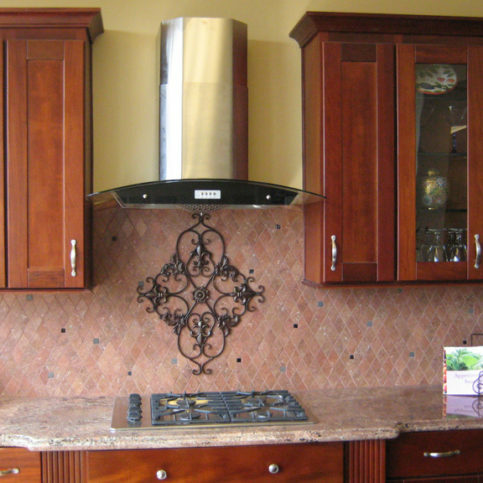 The company installs stone products, cabinetry and more. Jack Chan has been selling stone countertops for 14 years and is sales manager at Amazing Stone, Inc., a Diamond Certified company since 2007. He can be reached at (510) 200-0445 or by email. A: Definitely a dog person. We have a dog named Billy. A: Japan. I went there four years ago and really liked it. Granite is a natural stone. It’s very tough—one of the toughest natural materials on the planet. 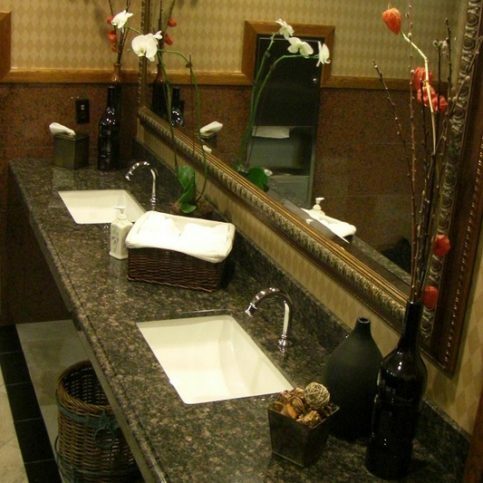 However, like any natural stone, granite is porous, so it needs to be sealed to prevent stains. Fortunately, there are professionally applied sealers available that last up to 25 years, so you don’t have to reseal often. 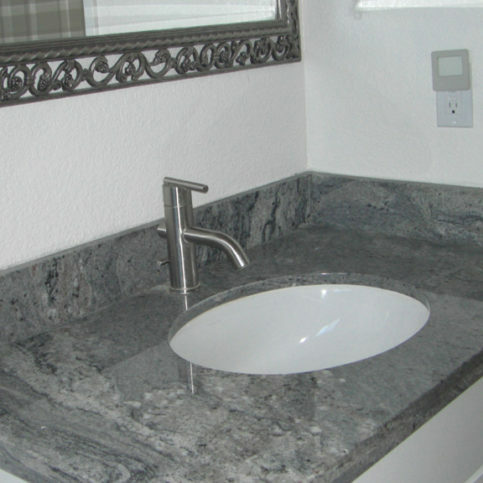 Since it’s a natural product, granite contains natural colors and patterns. The only potential downside of this is you can’t customize the look of your countertops—you’re limited to what nature provides. 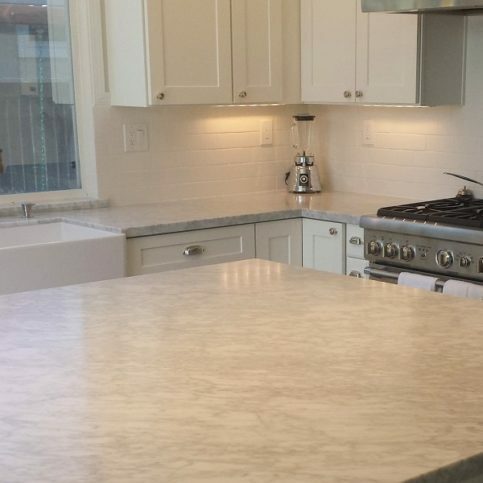 Quartz is a man-made material that’s completely customizable in terms of colors and patterns. Additionally, since it’s non-porous, no additional sealant is necessary. However, prompt cleaning and proactive care are still important with quartz countertops. For example, if you leave a red wine spill on your counter overnight, you’ll likely end up with a stain. Basically, it’s tough but not “bulletproof,” so you can’t be careless. Like granite, marble is a natural material, but unlike granite, it’s very soft and can be easily stained or etched by acidic liquids and other elements. For this reason, sealing (as well as recurrent resealing) is imperative with marble countertops. 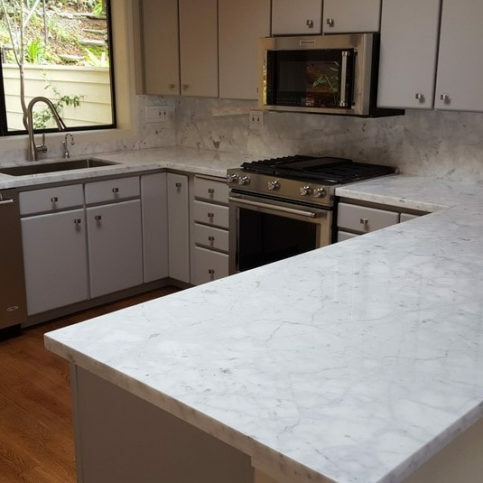 Even with sealing, marble countertops are still vulnerable to etching, so you need to consider the level of activity that takes place in your kitchen. If you regularly cook with acidic substances, marble probably isn’t a great choice. It’s also important to note that marble changes over time. Think of an older building with a marble façade—the marble has yellowed a bit, is no longer shiny and has developed a patina. A marble countertop will behave the same way. So, if you’re thinking of choosing marble, make sure you’re the kind of person who embraces natural change, because your countertops won’t stay the same. SAN LEANDRO — If you have a natural stone countertop in your home, you need to know the proper way to clean it. Since natural stone surfaces can be damaged by acidic substances like wine, vinegar and oil, be sure to promptly clean these types of spills to prevent edging or staining. In general, wiping your counter with warm water and soap will suffice, but sometimes stubborn spots require more intensive means. In such cases, avoid using an acidic cleaner or abrasive sponge, as these can damage your counter’s stone surface. Instead, use a fine razor blade to gently scrape off the buildup. While proper cleaning procedure is crucial, don’t neglect the equally important step of having your stone countertops routinely resealed. In addition to being sealed upon installation, a natural stone countertop should be resealed every six to nine months afterward. Keep in mind that some companies offer specialty sealants that can last up to 25 years. Whether you choose to do it yourself or via a professional, remember that sealing is critical for preserving your counter’s stone surface. 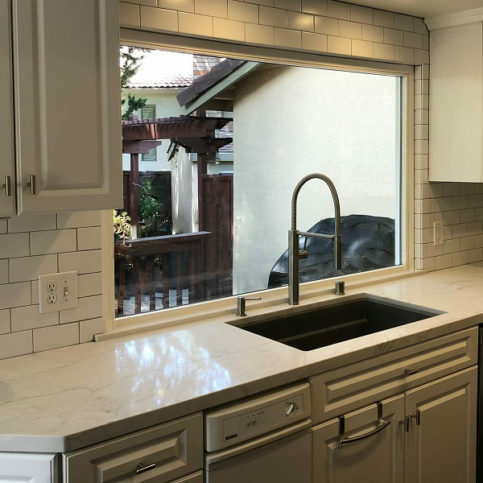 SAN LEANDRO — Host, Sarah Rutan: If you have stone countertops in your home, it’s important to know the correct procedures for cleaning and maintaining them. Today we’re in San Leandro with Diamond Certified Expert Contributor Jack Chan of Amazing Stone to learn more. Diamond Certified Expert Contributor, Jack Chan: Today we want to talk about how to clean your countertop. 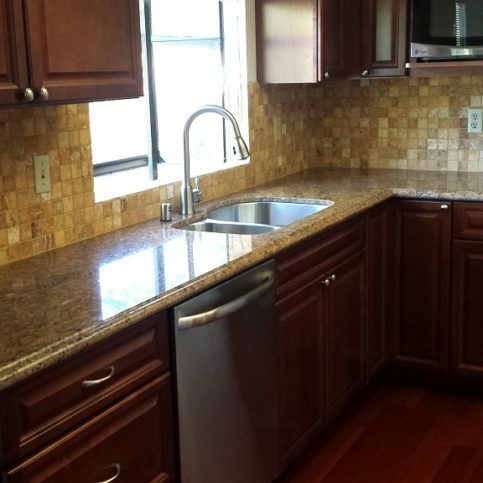 Most countertops go into kitchens or bathrooms which can be messy from time to time. The way to clean it is simple. Using warm water with soap, and go with a cloth or a paper towel, should go for a long way. If you happen to have buildup, do not use anything acidic or abrasive. Use a razor blade to scrape off the buildup, then use warm water and soap to clean the rest of it. If you drop wine, vinegar, or oil on your counter, try to clean it as soon as you can before it starts edging or staining your countertops. 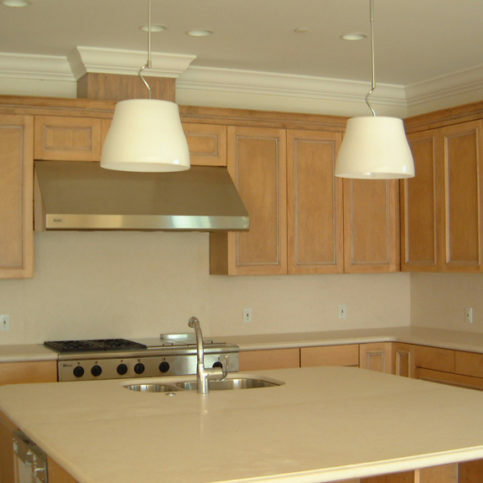 If you have natural countertops such as granite, marble, or limestone, the best scenario would be to seal it before you start using it, when it is brand new, and a typical sealant will last for six to nine months before you have to reseal it, or you can have it professionally sealed. Some companies offer sealant that will last up to 25 years. 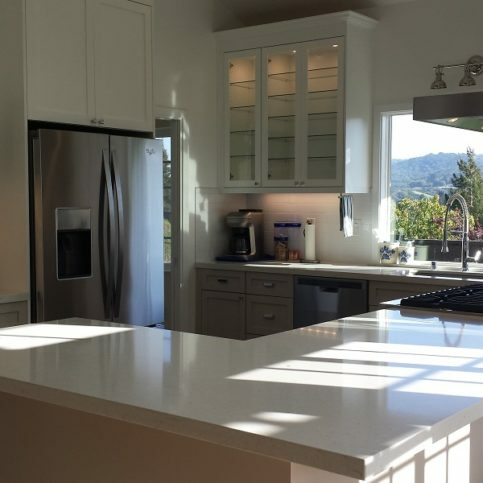 SAN LEANDRO — Host, Sarah Rutan: If you’re in the market for new stone countertops, you’ll want to educate yourself about the different materials available. Today we’re in San Leandro with Diamond Certified Expert Contributor Jack Chan of Amazing Stone to learn about three popular choices. Diamond Certified Expert Contributor, Jack Chan: Many customers ask us about the difference of different stone products. For example, this is granite. When there’s a granite, they’re durable, stain-resistant and scratch-resistant, but then you do have to put sealant on it to protect it from color staining as well. As because granite is a volcano rock, because of the magma and all the collusion between different elements, this is a rather busy material. This is marble. As you can see this is much calmer compared to granite, and it is also very elegant and traditional to add into your home. But the drawback is that marble is a softer material. It is more vulnerable to scratch and staining as far as etching. This is a quartz product. So quartz, unlike granite and marble, quartz is not a natural stone – is a man-made product. Because off that there is a name brand involved and there is also different manufacturer offering different warranty program. 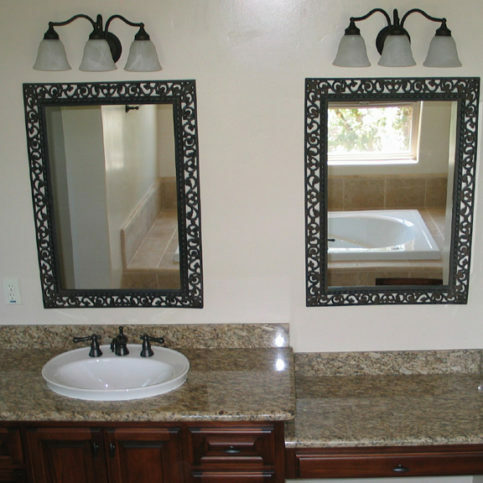 Now as a quartz are – there are scratch-resistant and stain-resistant as if granite, and they do not require sealant. It is very important to choose the right material that fits your needs and your lifestyle. Diamond Certified RATINGS ON Amazing Stone, Inc.
Amazing Stone, Inc. : Average 9.2 out of 10 based on 324 unique customer surveys of customer satisfaction. We have used them twice, and we've been very satisfied. They did a very good job. I have used them twice, and I have always found them very informative, and they answered all of the questions I had. They were very responsive, excellent customer service, and they stick to their commitments. I would say, their personal attention stands out, and also there was never any pressure. They did a really good job, and we always tell people about their expertise when doing the edges. You cannot see the seams, and we really liked that. We have used them several times. They did high quality work, and they were very knowledgeable. They did a very professional job, and I would definitely recommend them. We were very happy with the job. I'd say they were professional and informative. It was a good product for a good price. The price stood out for me. I would say their customer service stood out for me. They were the one vendor that didn't screw anything up. They did a great job, and we have referred them to many people. They offered a good price, and the stone is absolutely beautiful. They were very quick, and there was a very quick turnaround. They did excellent work, there were absolutely no seams. I bought the granite somewhere else, and they installed it. They were very helpful, telling me what to look for, and they answered all of my questions. They were very nice and very friendly. I would highly recommend them. What I liked, was the fact that they showed me my options and showed me what a great company they were before they knew I would be on board as their client. I really appreciated all of the information and recommendations we received from them regarding type and which direction to go. They did great work, and we were very satisfied. They were on time, and they did good work. I don't really know, but we have used them several times. They had a good product, they answered all of my questions, and they gave good advice. The installation came out perfect. I would say the initial contact we had stood out. We have used them several times now, and they are the best around. They are very easy to work with, and they did a great job. I can't think of any one thing. It was good quality, and they were on time and quick. They also cleaned up well and everything was very fine. They had a great selection, and they were very helpful and pointed us in the right direction. Not anything in particular, they did their job and they did it well. The prices were good, they had everything ready to go, and they were accurate and helpful. I would say they had the best price and the best quality, and they were very helpful.